"We realize that our customers expect it, but more importantly, we desire it." 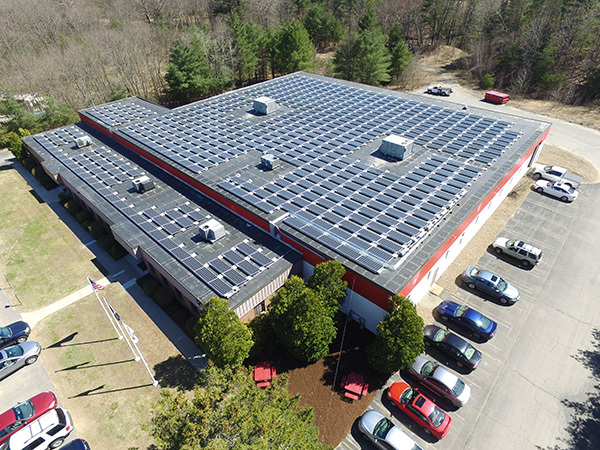 Astron’s 232.2kW solar array that was installed by Solect Energy in November of 2017 will provide over 50% of the energy Astron consumes in a year. On average Astron recycles over 400,000 pounds of metal per year. Astron’s entire facility is outfitted with T8 LED Tubes, which provides for a well-lighted facility combined with high efficiency lighting. Since moving to the current facility in 1994 Astron has practiced water conservation. From the use of recycled water in the finishing department to hand dryers used in the restroom facilities. Astron has recently started to return pallets received from our metal suppliers back to them for reuse. In addition, Astron as always repurposed wood pallets for our own shipping needs. The chillers used to cool water in our EDM Department use R407c and R410a.